Softube’s Console 1 was an intriguing offering when it came out, but I suspect some people balked at the price – and simply didn’t know what it was or what it was for. Now, at five hundred bucks, the audience should be bigger. And Softube are working on making the “what is this anyway?” story clearer. So, what is it? Let’s back up. First, imagine a big mixing desk – like a big Solid State console. Now imagine what that console would look like a computer accessory. Obviously, you’d want it to be a whole heck of a lot smaller, and you’d want it to work with software. The need for lots of physical faders is eliminated by making things work in software form, and then having them in software would let you use the console functionality seamlessly in your DAW. What you’d want to keep, of course, is the sound of the console, and the feeling of being able to control things with your hands. Well, that’s the Console 1. It isn’t an audio interface. It isn’t a DSP platform like Universal Audio’s – everything runs on your computer CPU, natively. It’s physically just a big box with knobs and LEDs and such. But the package combines a bunch of software models of console sound with that high-end control surface. Then you use your existing computer hardware and interface to complete the studio. 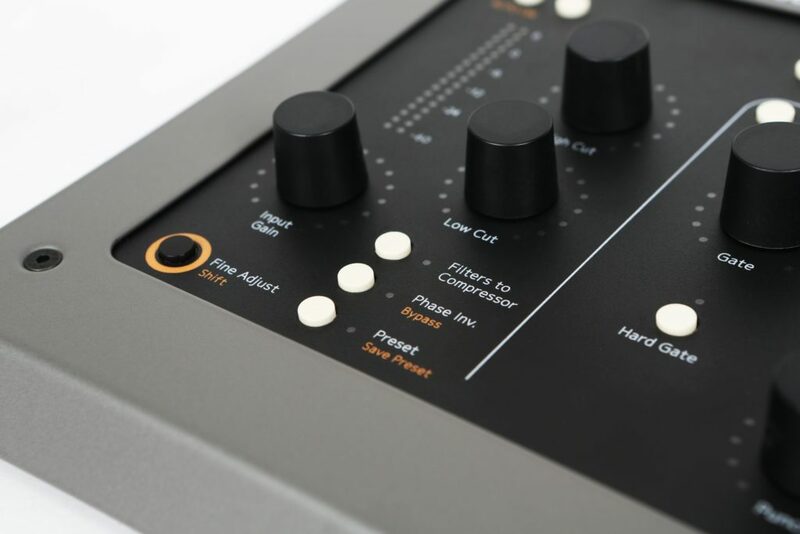 The control surface itself is high-end, made of steel, literally. It feels terrific in my brief hands-on sessions; I do want to review this thing (now more than before, but more on that below). And it looks nice enough (thank you, Sweden). 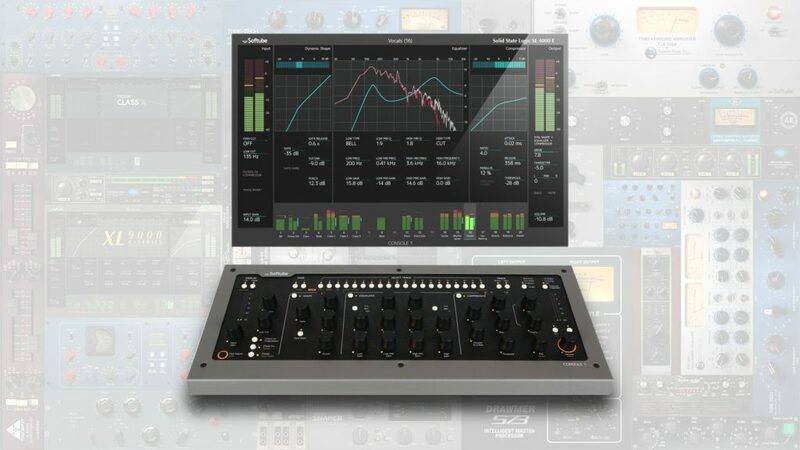 You also get a model of the Solid State Logic SL 4000 E console and everything that entails – so the bundled software includes its onboard compressors, EQ, and so on – as produced in combination with SSL themselves. And maybe that’s all you need – SSL model, control surface, done. The new list price: US$499. This is nowhere near as affordable as something like Harrison MixBus, but that doesn’t include controller hardware. Softube also supports their own ecosystem of models, all of them running natively on the CPU – including Chandler Limited, Fairchild, Teletronix, Tube-Tech, and Abbey Road Studios. I want to see more full DAW integration – Cubase and Logic being obvious options, though Studio 1 and SONAR are a good start. But since it’s the plug-ins your controlling, that’s really key to making the Console 1 worth it. And apart from the price break, the deal maker I suspect is the addition of UAD powered plug-in support. That’s a perfect combination: what holds the Console 1 back is plug-in support, and what holds the UA solution back is the lack of hands-on control. Softube doesn’t support everything of UAD’s, but there’s a lot – including crucial channel strips, the Fairchild and Harrison models, the Pultec (you got me there), Teletronix, and 1176 and 610 lines. So now, pairing an Apollo Twin with a Console 1 makes for a pretty complete home mixing solution, one that sounds and behaves like a high-end studio but has a cost in reach of a lot of individual producers. 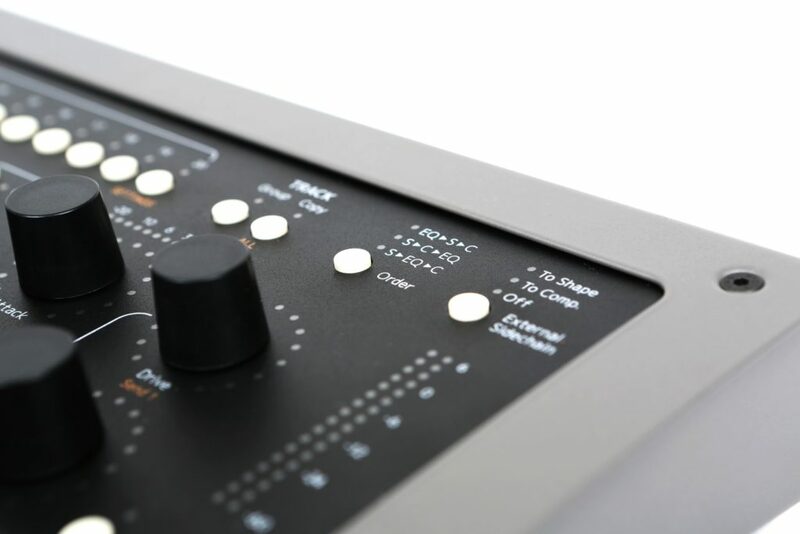 In fact, the hands-on Console 1 mapping of the UA 610-B, plus the Unison modeling of the 610-B on the Apollo Twin means you can plug in these two pieces of gear and have a complete experience. The complete list is now in an updated Q&A (ignore that 2013 date — the UAD stuff was announced just last week). So, I’m eager to test this, absolutely. What I love about this is that it lets you recreate an entire console workflow in a totally different context. And that in turn means you can apply that sound and behavior to music and musical genres that never got into those studios. Softube has more work to do here. The value of the Console 1 is totally dependent on expanding compatibility and integration. And I also think they’ve more to do to tell the story to a broader audience of producers beyond the usual studio pros and press. But it looks really promising with these updates. Maybe you think I’m crazy and you’ll stick to your native plug-ins and mouse. But stay tuned for that review.